Codarra provides professional services, training services and the development of niche products. The professional services include project management, communications and vehicle engineering, software development and other scientific services. Codarra provides project management and systems engineering training. 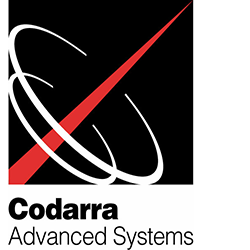 Codarra develops unique software products such as its ELA product which is exported to most aerospace companies in the USA. Codarra's R&D focuses on software products and robotics technologies. Codarra undertakes research into various Defence related technologies such as our current development of a counter unmanned aerial system product which will be demonstrated at Avalon. Codarra undertakes research into other robotics technologies such as a remote controlled weapon and has previously developed its own UAVs and UGVs. Codarra also undertakes research into surveillance technologies and has been prototyping multi-spectral surveillance capabilities. Codarra is currently providing professional advice in the area of cyber security and is developing software products for a client in the cyber security arena. Codarra is an Australian Defence technology company that always looks to maximise capabilities for the benefit of Australia’s Defence. Codarra has no foreign control and no relationships that cause any conflict with its commitment to its clients.